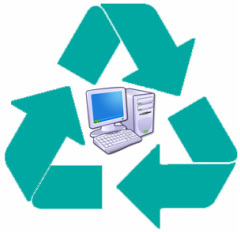 WHY DO THOUSANDS COME TO TECH FOR ALL?​ To be part of the ONLY 100% volunteer computer recycling foundation to giveaway refurbished equipment to qualified recipients at no charge. Tech For All makes available to individuals in the community the means to become skilled and competent in computer use; we do this by gathering donations, collecting and reconditioning used equipment, identifying qualified recipients and placing the appropriate equipment with them solely for their use and at no charge. Tech for All pone a la disposición para individuos en la comunidad la oportunidad de convertirse en personas calificadas y competentes en el uso de computadoras; recoge donaciones, recolecta y reacondiciona equipos usados, identifica beneficiarios calificados y coloca el equipo adecuado exclusivamente para su uso y sin ningún costo. Simply click on this link and fill out the form. Thanks!